Charcoal is a very popular drawing medium that comes in a variety of forms. What’s the difference between willow charcoal and vine charcoal? What is compressed charcoal and how can it be used? In my online portrait class The Many Faces of Charcoal we’re using many different charcoal varieties. So let’s have a closer look at what types of drawing charcoal are available and the differences between them. The most basic form of drawing charcoal is made of willow branches or sections of grape vine. By heating the wood in a kiln without any oxygen, the flammable gasses and water that are contained in the wood are removed. What remains are carbonized wooden sticks that can be used for drawing. 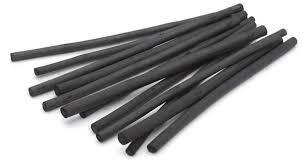 These willow or vine charcoal sticks are very brittle and powdery, because they don’t contain any binder. You just draw with the sticks on a piece of paper, and the powdery substance is being transferred onto the paper and kept into the fibers of the paper. There is no binding agent that ‘glues’ the charcoal onto the paper. This means that the charcoal can be easily smoothed out and erased, which is one of the main advantages of charcoal as a drawing medium. You can blend the charcoal using different tools, in order to create a range of tonal values and all kinds of beautiful textures. The fact that willow and vine charcoal don’t contain any binder, however, also means that the drawing isn’t protected from any unwanted smudging. For this reason people sometimes use a fixative to bind the charcoal to the paper. 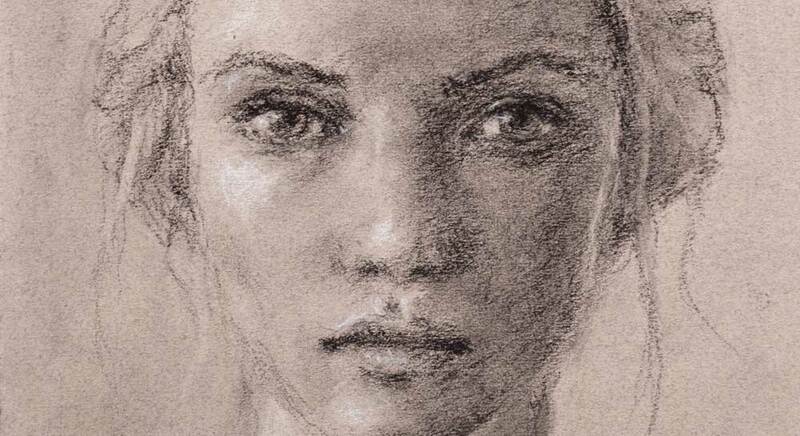 The drawback however of using fixative is that it will also usually darken the drawing. Personally I avoid using fixative if I can. Instead, when I store my drawings I protect them with a sheet of glassine paper, or if I want to hang them somewhere I frame them behind glass. What’s the difference between willow and vine charcoal? In general you can say that vine charcoal is a bit lighter (greyer) than willow charcoal. In my experience though, the difference is not that great. Also, it’s good to be aware that willow and vine charcoal are natural products and their properties (color, tonal value) can differ from brand to brand, and even from batch to batch. So it’s always good to try out different pieces from different brands and experiment with them to see what you like. 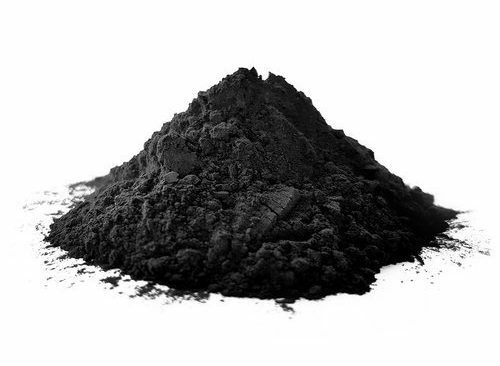 Charcoal powder is made from willow or vine charcoal that is grinded into a powder substance. You can apply it with a brush or all kinds of other tools, to create a beautiful soft look or to tone larger areas of your drawing. 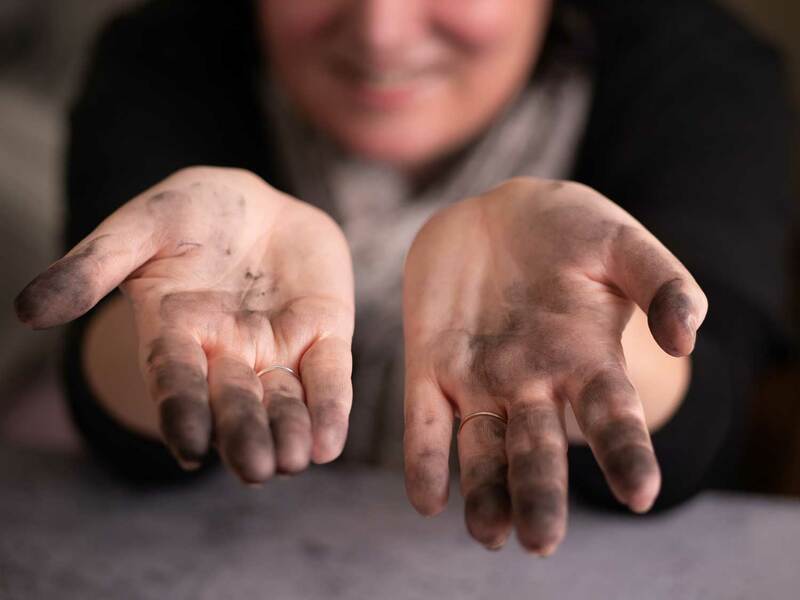 Charcoal powder can be bought ready-made in art stores, or you can make your own by grinding some willow or vine sticks using a mesh grate or kitchen grinder. It’s a good way to use up the tiny pieces of willow or vine charcoal that are left over. You can also make a little powder by rubbing your willow or charcoal sticks over a piece of sandpaper. 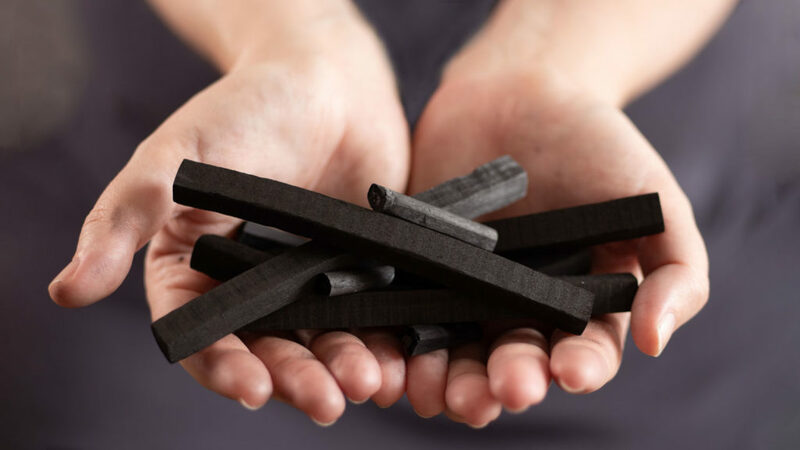 Compressed charcoal are sticks made from charcoal powder and a binding agent – usually gum or wax. This mixture of charcoal powder and binder is then shaped into a mold, to create a stick form. You can use the stick like a type of crayon. 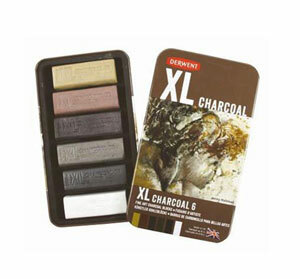 Compressed charcoal ranges from hard to soft, depending on the ratio of charcoal powder to binder. The more binder, the harder the compressed charcoal. And the degree of hardness in turn determines how light or dark the compressed charcoal is: the harder the charcoal stick, the less charcoal powder and hence the lighter the tonal value. In most cases though, compressed charcoal is darker than regular willow and vine charcoal. 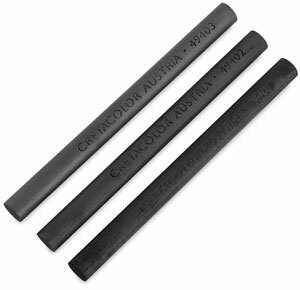 The binder in the compressed charcoal also makes the stick harder and less prone to breaking than regular charcoal. 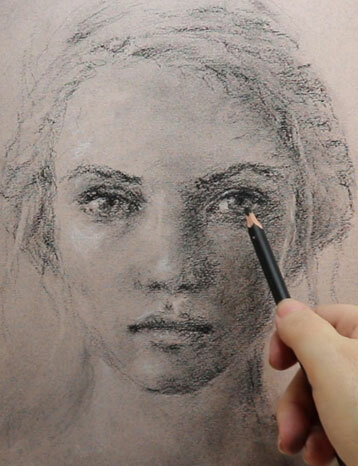 You can use compressed charcoal on its side, to draw broader strokes, or use the tip to create lines. Due to the binder in compressed charcoal, it adheres better to the paper than regular willow or vine charcoal. So that’s why it’s harder to smooth out or erase compressed charcoal than regular charcoal. This property has its pros and cons. You don’t really have to worry about accidentally smudging your drawing, because that doesn’t happen as easily. But it’s also harder to create soft gradations and transitions with this charcoal variety. Charcoal pencils are comparable to compressed charcoal, in the sense that most charcoal pencils are made from charcoal powder and a binder. And just like compressed charcoal they usually come in a range from hard to soft. The difference with compressed charcoal is that pencils are thinner, so that you can draw thinner lines with them. It’s best not to sharpen charcoal pencils with a regular pencil sharpener, but rather with a knife or blade. This way it’s easier not to break them. After sharpening the pencil with a knife, you can optionally create an even sharper tip by sanding it with sandpaper. 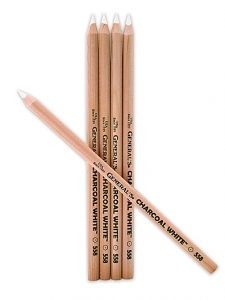 There are also pencils and compressed sticks available that are sold under the name of ‘white charcoal’. 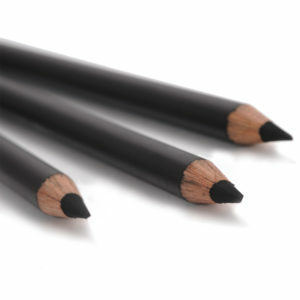 These pencils and sticks can be used just like regular charcoal pencils and compressed charcoal sticks, but they are white instead of black or grey. Calling these supplies ‘charcoal’ is a bit misleading, because they don’t contain any charcoal. Most often they are made with some kind of chalk. They are comparable with white pastel pencils and pastel crayons, but contrary to the pastels the white ‘charcoal’ supplies don’t contain any white pigment – just chalk. Lastly I want to mention tinted charcoal. 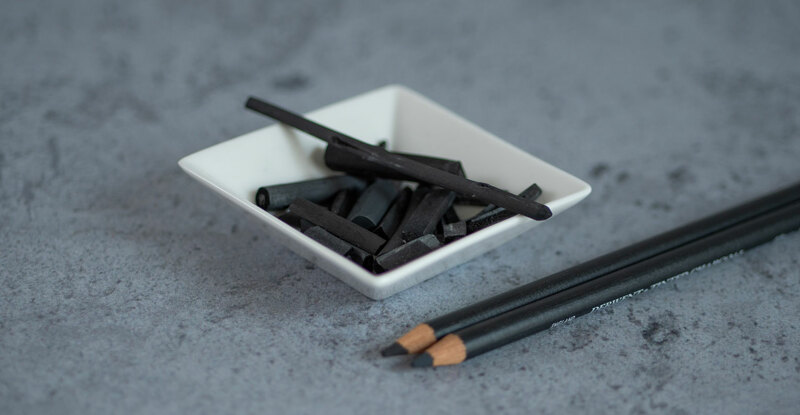 These are just like regular charcoal pencils and compressed charcoal sticks, but the mix of charcoal powder and binder is tinted with a little bit of color pigment. The colors that they produce are fairly subtle and muted, since they are based on the dark grey and black tones of the regular charcoal powder. We are not going to use these tinted charcoal supplies in The Many Faces of Charcoal, but it’s certainly worth to give them a try. Thanks for your information, it is very helpful to understand how to achieve the tonal value. One mistake that I often made is make strong lines, with a regular pressure and then, they become difficult to erase or blur. It is something I have to practice. I’m in .. I try to do it in Time with The online Workshop. Otherwise later on, we have live Time Access, Great. 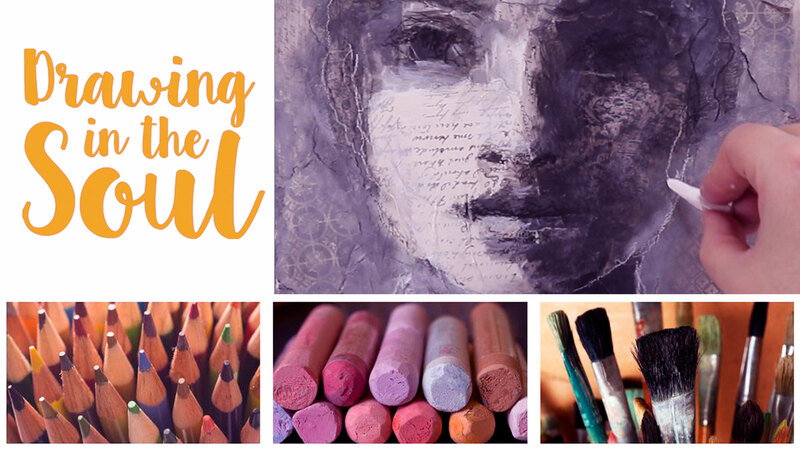 One question, Do you give also Feedback, like in The “Soul” Workshop? Great, i’m in, I try to Do it in The live Workshop. Otherwise we have live Time access. Thank you for these opportunity. We see us in the course, of corse. Wonderful to have you in class again, Marianna! 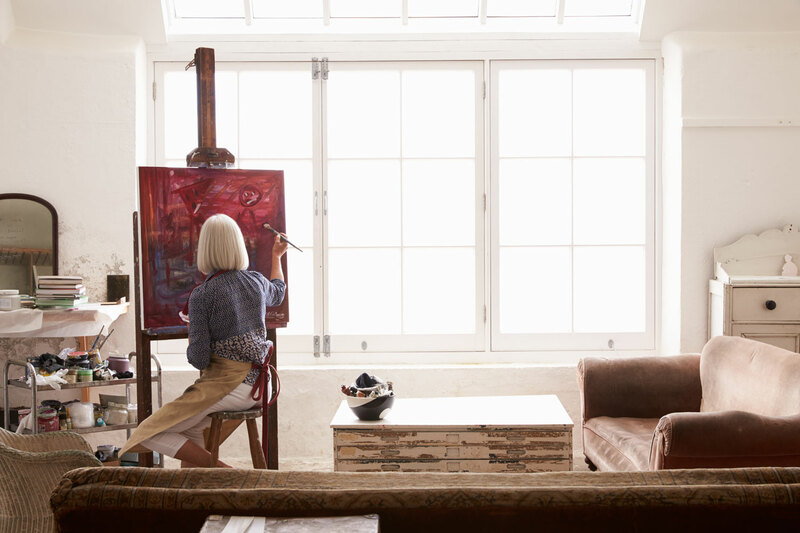 And yes, you can totally do it in your own pace, because you do have lifetime access. So no hurry! 🙂 Regarding the feedback: I’m not giving feedback like in Drawing in the Soul, but I will be available for any questions you might have. Thanks you always explain things so clearly.I have been wondering what compressed charcoal is and after reading this I find I have some . I don’t really like it as much as the willow.